There are many ways to make winter extraordinary, but travelling surely tops the list for most. Whether immersing in the holiday season, travelling Europe in the off-season, or being whisked away to a tropical paradise, when travelling with Collette, you get more of what makes guided travel so special. The holiday season is a whimsical time of year and travelling during this time is truly magical. Send your travellers a fun and festive adventure unique to this time of year. 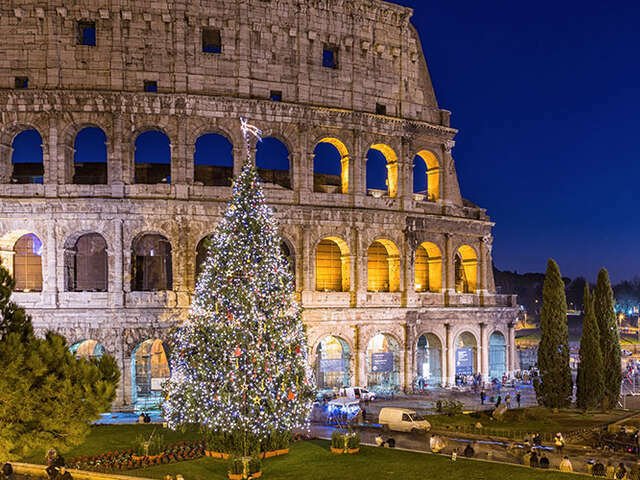 There is nothing like discovering the holiday traditions of another culture; exploring the world’s iconic sites adorned with shimmering lights and colourful decorations; and experiencing the cheerfulness that resonates from the locals – that is travelling during the holidays. Don’t forget about the benefits of travelling to Europe in winter – its off-season. You can save up to 40% when you travel to Europe during select months. Experience a wealth of classic destinations at a wonderful value. As the pace slows in winter everyone has more time to share stories. Sink into the local culture as you are visiting neighbourhood markets or sitting in a cozy cafés. Also experience the holiday festival and markets that are a tradition. With smaller crowds comes the chance to spend time with the Mona Lisa and marvel at the work of Michelangelo. Take advantage of this sometimes underappreciated off-season perk. There is something a little more satisfying when there’s a tinge of cold in the air. Warm yourself with a bowl of beef bourguignon or some hot chocolate. Many parts of Europe are relatively warm in the winter. From the sun you’ll find in Spain and Portugal to comfortable days in Italy, it’s the best time weather wise to visit. When you want to escape the winter, take the opportunity to renew, refresh and grow by travelling the world with Collette. You will be fulfilling your dreams of a faraway place that shines bright during the wintertime with an extraordinary guided travel experience.